It’s a lovely accolade to be named one of Suffolk’s Inspiring Women, and we seized the opportunity to put a call to arms into the celebration brochure. There’s no point being called inspiring if you don’t then take steps to inspire. Spring allows me to support younger people, often helping them to visualise and deliver change in their worlds. This comes to life in a range of activities, from workshops we deliver through schools and colleges, to regular work experience and intern positions, to an exciting new sports education project that we’re helping to launch in the new few months. 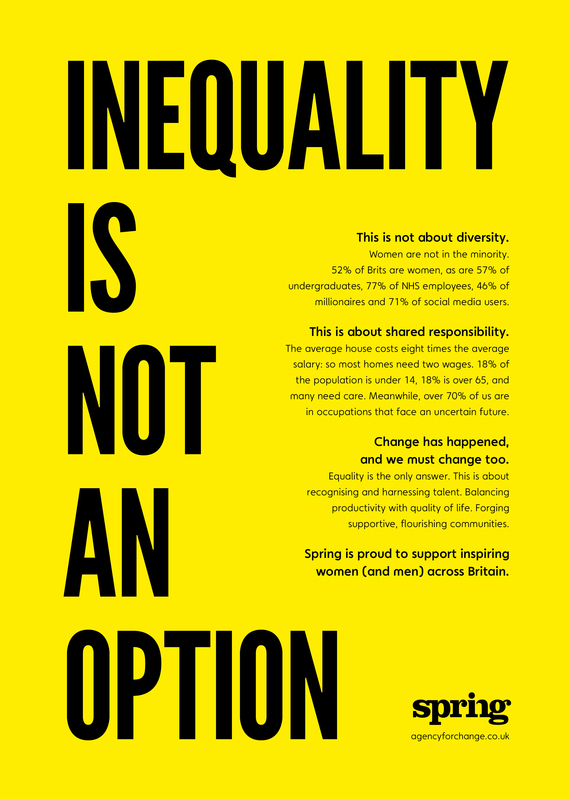 As for our call to arms: it’s my firm belief that the narrative needs to shift from one of rights to responsibilities, talking about equality at home as well as in the workplace. The argument for parity is often weakened by lack of data, with emotional arguments overwhelming logical ones. Given the unconscious bias that exists throughout society – with no malice intended on anyone’s part – this calls for facts, common sense and shared purpose.